This is the next step in race radiators! 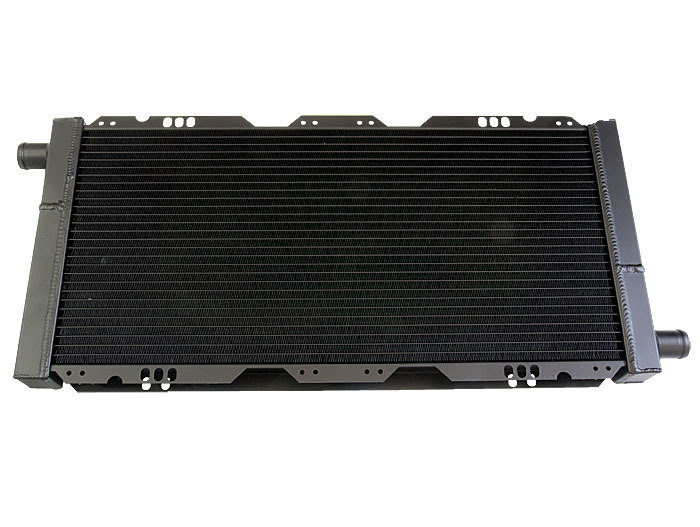 As tested and approved by the people racing in hot conditions (Middle East), this radiator has a 42mm core like our standard universal Aluminium Radiator, but it also lets coolant pass three times instead of the normal single pass. By doing this, the engine coolant temperature is brought down massively! 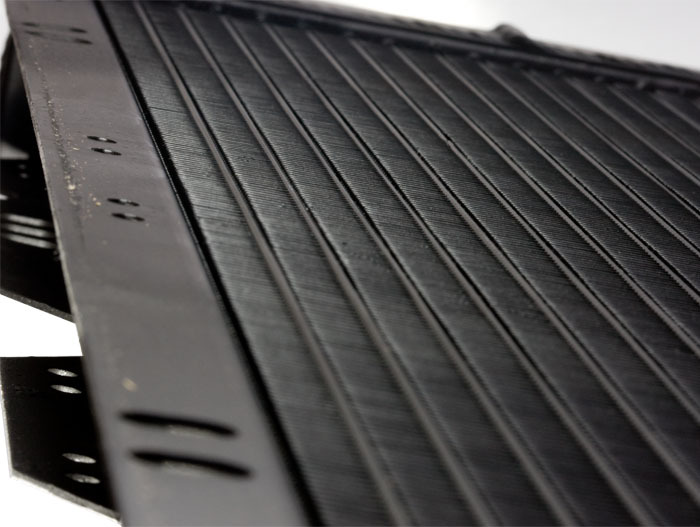 elise-shop.com has also combined all possible drilling options for these radiators to make them compatible with all Elise, Exige, Europa, 340R and VX220 models! No more need to drill extra holes, just remove the old item and put the new one in place.. done! 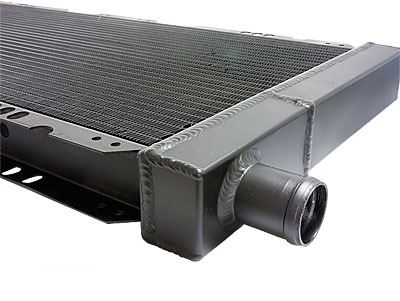 This radiator has the same outer dimensions as the OE item, but it has TIG welded aluminium side-caps and a 42mm core as standard. By welding these side-caps on, the radiator is able to withstand a higher pressure and will last longer! To top that all up.. it's painted black to get that small extra bit of capacity which is to be found in the colour of the radiator!